Car sales rose by almost 8% in May, the largest increase for almost two years and the third consecutive month of growth. A total of 162,288 cars were registered last month, boosted by a significant 14.3% rise in the number of private sales. The increase is the strongest rate of growth since the June 2010 when the goverment-backed scrappage scheme was in full effect. There has also been a rise in fleet car registration following a three month decline. 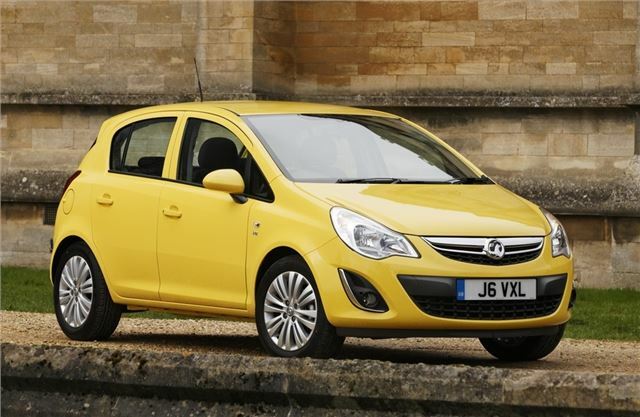 There was no surprise when it came to the top 10 sellers with most popular car in May being the Vauxhall Corsa followed by the Ford Fiesta - the best selling car so far in 2012 - and the Ford Focus. The Fiat 500 was the tenth best seller. More than 860,000 cars have now been sold in the UK in 2012 so far. Compared to June 2011 the biggest increase has come in alternatively fuelled cars such as hybrids and electric vehicles (EVs). Last month saw a 31.8% increase over the same period last year. "May’s 7.9% increase in new car registrations is good news for the motor industry, particularly the steady growth in demand from private buyers," said Paul Everitt, chief executive of the Society for Motor Manufacturers and Traders. "There is no doubt that vehicle manufacturers and their dealer networks are working hard to deliver value for money to motorists and the consistent climb in new car registrations during the first five months of the year suggests that confidence is returning, despite financial uncertainty in the eurozone."